1. John Fawcett Aveson; 2. Chess Irwin Ludlow; 3. Ruth Aveson Truman; 4. Don Wadsworth; 5. Ralph Aveson Ludlow; 6. Mary Ann Aveson Stratford; 7. Paul Aveson; 8. Marie Loveless Aveson; 9. Matlilda Francis Aveson Erwin; 10. ROBERT AVESON; 11. Mary Ann Wiscomb Wilkerson (the only great grandchild at the time the picture was taken); 12. MARY ANN RAWLINGS AVESON; 13. Florence Wadsworth Thiriot; 14. Robert Fawcett Aveson; 15. Ada Oldham Aveson; 16. Samuel Aveson; 17. Josephine Mary Ann Aveson Ludlow; 18. Roland Robert Aveson (Fawcett's son); 19. Ralph Henry Ludlow; 20. Jess William Erwin; 21. Albert Aveson; 22. Olive Aveson Mullett; 23. Florence Mary Aveson Wadsworth; 24. Franklin Ernest Wadsworth; 25. Irene Aveson Dalgleish; 26. 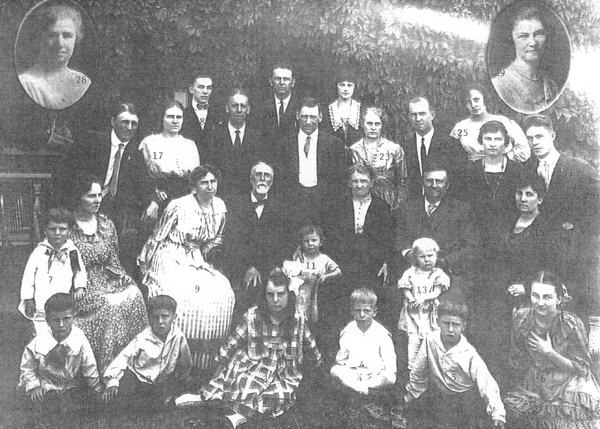 Frances Aveson Wiscomb (Fawcett's oldest daughter--in September 1986, she was 90 years old and lived in Salt Lake City--she identified the the people in this picture to Marjorie Ludlow Knudsen. ); 27. John Edward Wiscomb; 28. Margaret Brown Aveson (wife of Albert); and 29. Annie Aveson (daughter of Albert and Margaret. If you have questions or comments, or would like to share photographs or information about the Aveson family, or would like some specific information, please contact us at postmaster@sedgwickresearch.com. We are especially looking for personal histories and photographs. Thank you! 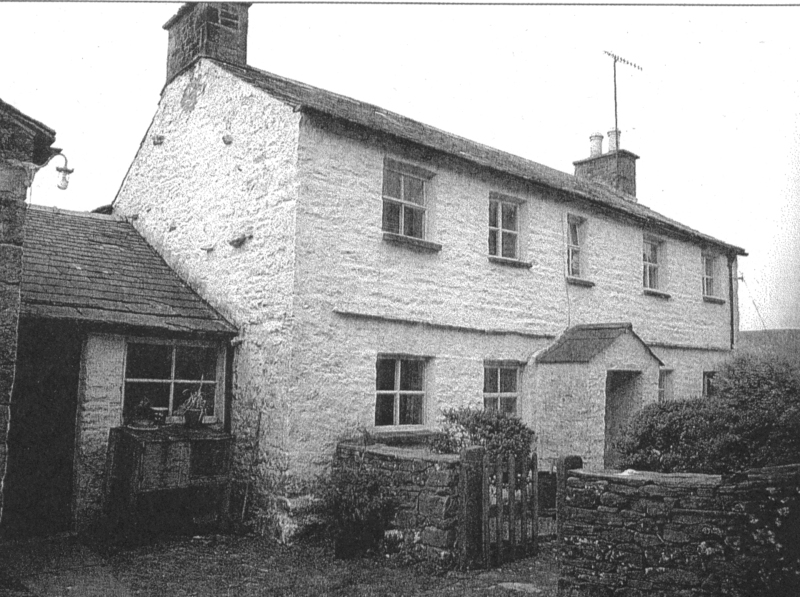 Picture Robert Fawcett's Home and Birthplace: Robert Fawcett was Robert Aveson's maternal grandfather. Photo courtesy of Rosemary Riley. Robert Aveson: A brief history of the life of Robert Aveson, from Andrew Jenson's, LDS Biographical Encyclopedia, Vol. 1, p.679. Robert also wrote his own history, entitled Leaving Home. Robert's history is focused on his boyhood, his friendship with Richard Sedgwick and their conversion to The Church of Jesus Christ of Latter-day Saints, their emigration to the United States of America from England, his journey to Utah, his family's conversion and emigration, and more. 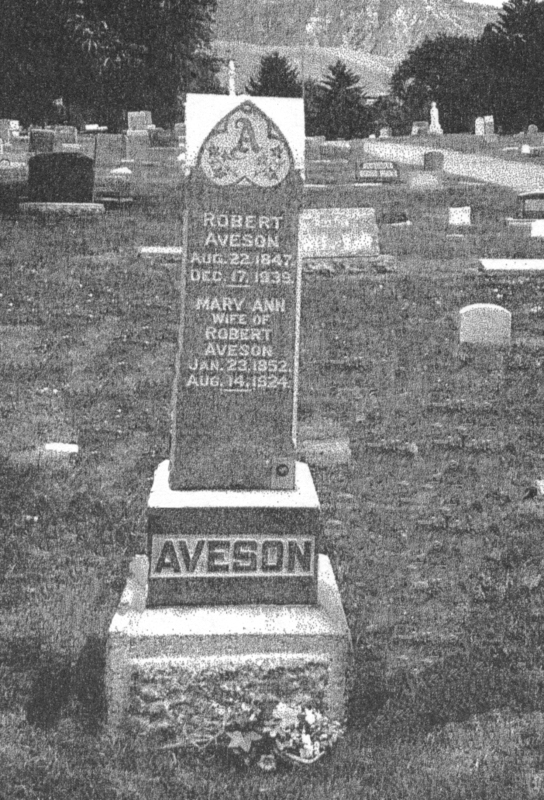 Picture Robert & Mary Ann Aveson's Headstone: Robert and Mary Ann were buried in the Salt Lake City, Utah, Cemetery. Photo courtesy of Rosemary Riley. 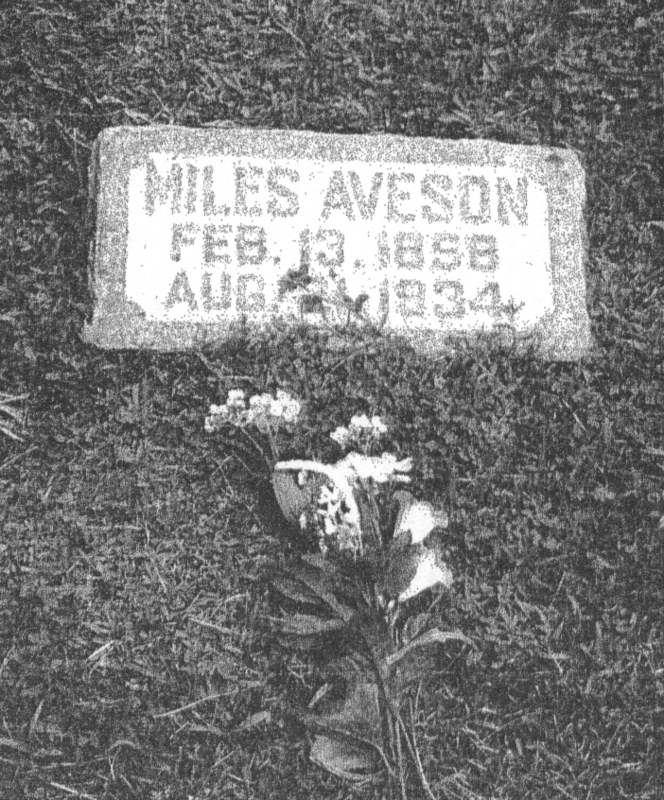 Picture Miles Aveson's Headstone: Miles was buried in the Salt Lake City, Utah, Cemetery. Photo courtesy of Rosemary Riley. 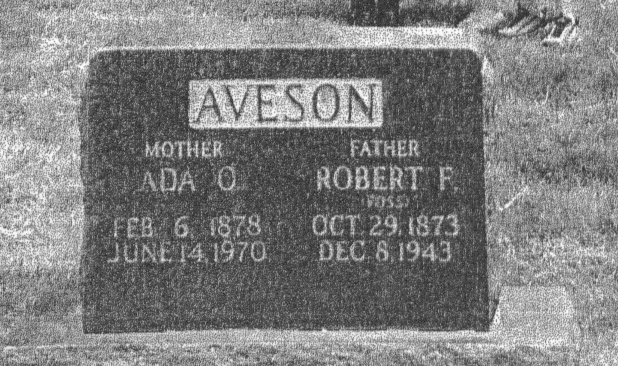 Picture Robert Fawcett "Foss" & Ada Aveson's Headstone: Robert F. and Ada were buried in the Salt Lake City, Utah, Cemetery. Photo courtesy of Rosemary Riley. 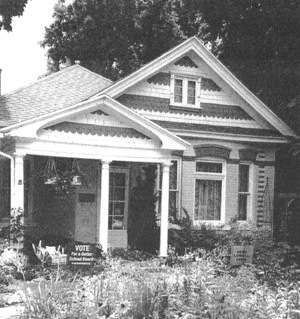 Robert Fawcett "Foss" Aveson's Home: This home is located at 776 2nd Avenue in Salt Lake City. Photograph courtesy of Rosemary Riley. The Fawcett Family GenForum: Fawcett is Robert's mother's family name. The Fawcett GenForum is free a "bulletin board" service for people who are interested in the Fawcett family world wide.